Click the image to view the full size photo - use "back" to return here. Liu Haitao battled from 6-1 and 9-6 down to beat Hsu Kai-Lun in the last-16 of the partypoker US Open 9-Ball Championship, while Chang Yu-Lung gave Jeffrey Ignacio little opportunity as he won 11-3 at the Mandalay Bay Resort and Casino Convention Center, Las Vegas, live on Sky Sports and DAZN. Hsu Kai-Lu took a speedy 3-0 lead before Liu got on the board. Hsu extended his advantage to 6-1 before the first of his Chinese opponent’s fightbacks and then put together a second three-pack to take a commanding position at 9-6 up. However, Liu, a World Cup of Pool winner last summer took the next five racks to win the match and move into the quarter-finals. Liu will meet Chang in the last eight after the Taiwanese player put in a performance of complete dominance – and a little luck – against Ignacio. The Filipino had barely had a shot at the table when he got a chance at 8-1 but soon after getting his second rack on the board control returned to Chang. In missing the 6, Chang fluked a carom on the 9 and had another slice of luck in the next rack as the cue somehow stayed in the jaw of the middle pocket when a scratch looked certain. Ignacio returned to the table in game 13 and freewheeled his way to a third rack but the match was over minutes later as Chang completed an 11-3 win. Earlier in the day Joshua Filler defeated defending champion Jayson Shaw with a breath-taking performance to set up a quarter-final tie with Francisco Sanchez Ruiz, who defeated Ko Ping-Chung. There were wins too for Jeffrey De Luna over Imran Majid and Alex Pagulayan in a true hill-hill thriller with Aloysuis Yapp. "Read More..." for further details! After 488 matches of double elimination pool the partypoker US Open 9-Ball Championship is down to the last 16 as play moves into the Diamond Arena at Mandalay Bay Resort and Casino Convention Center, Las Vegas on Wednesday. The tournament now switches to single elimination, with global television coverage including Sky Sports and DAZN. The top two seeded players – defending champion Jayson Shaw and US No.1 Shane van Boening – both came through the double elimination stage unscathed and will now face Joshua Filler and Wu Jiaqing respectively in two of the standout matches from the last 16. Tuesday’s action ended with the final eight matches on the losers’ side of the double elimination brackets. Filler beat Petri Makkonen 11-6 to progress, while Wu booked his match with Van Boening by defeating Mieszko Fortunski in the 21st and final rack of their match. Elsewhere there was success for Aloysuis Yapp over Ko Pin-Yi, whose brother Ko Ping-Chung beat Tyler Styer 11-7. There were wins too for Lui Haitao and Wang Can of China, while Jeffrey Ignacio’s victory over Dennis Hatch means Van Boening is the only play from outside of Asia in the bottom half of the draw. England’s Imran Majid defeated Cheng-Chieh Liu of Taiwan and will now face Jeff De Luna. Solihull 9 Ball Series Event 3 is in the books. On Saturday 20th April 2019, 41 registered players made the journey to Rileys Sports Bar, Solihull, all with the intention of claiming the Event 3 title, or at least a share of the £1100 prize fund. With the Grand Final only 9 weeks away players were required to have played a minimum of 3 events to meet qualification criteria. All knew that a good run in the tournament could well leave them in pole position for one of the sixteen sought after spots. Solihull 9 Ball is always happy to welcome newcomers to our tournaments and several impressed during their series debuts. Three wins saw Chris Parker safely through to the last sixteen while Danny Orme also battled his way to the single elimination stage undefeated. Terry Davies was downed 7-3 by Kev Simpson but still managed to make the last 16 thanks to a victory over Ryan Coton. Jimmy Mole has always supported 9 Ball events at this venue so it was good to see him in good form early on with wins over Karl Hooley and Solihull 9 Ball’s own Daryl Garland. Unfortunately for Jimmy he was sent to the loser’s side by Benji Buckley before his involvement was ended completely by another debutant, local 8 baller Nick Birch. Jan Ibrahim also impressed on his way to the single elimination phase. "Read More..." for the details. Click the image to view the larger photograph - use "back" to return here. Taiwan’s Kevin Cheng captured the inaugural WPA Players Championship on Friday, storming back from the near dead to defeat the Philippines Carlo Biado, 12-11, in a thrilling final at Griffs Billiards in Las Vegas. The victory capped a terrific week for the Taiwanese sharpshooter, who showed that not only is he one of pool’s hottest sharp shooters, but also that he is a resilient, never-say-die fighter that can grind it out with the best of them. It was that trench warfare mentality that helped bring Cheng back from the dead, as he was down 8-5 in the race to 9 final and was sitting in his chair watching Biado clear for the title. It was only when the Filipino unexpectedly missed a 4-ball that Cheng felt a slight heartbeat. He proceeded to win the next four racks, and then slugged it out in a nervy 45 minute stretch with Biado in the win-by-two format, until the pair reached the limit of 11-11 all and played one rack for the title, which Cheng won. The Taiwan-Philippines final seemed only fitting as the day began with two Taiwan-Philippine semi-finals. In the first semi, Cheng squared off with Johann Chua and quickly got out to a 4-1. But as he had done all week, Chua stormed back to tie the match at 4-4. The pair stayed even for the next few racks, until the Filipino made several mistakes that opened the door for Cheng. The Taiwanese then zeroed in on the finish line and won 9-6. Click the image to view the full size poster - use "back" to return here. The draw for the 43rd US Open 9-Ball Championship has been made, with Jayson Shaw to begin his defense against Marcus Weston at Mandalay Bay Resort, Las Vegas on Sunday, April 21. The draw was seeded with a golf-style category system adopted, which took in rankings from across the pool world including WPA World Ranking, BCA Standings and Fargo Rating. As defending champion Shaw was seeded No.1, while five-time US Open champion Shane van Boening is seeded second as the highest ranked American player. Broadcast details for the 2019 US Open 9-Ball Championship will be announced shortly. 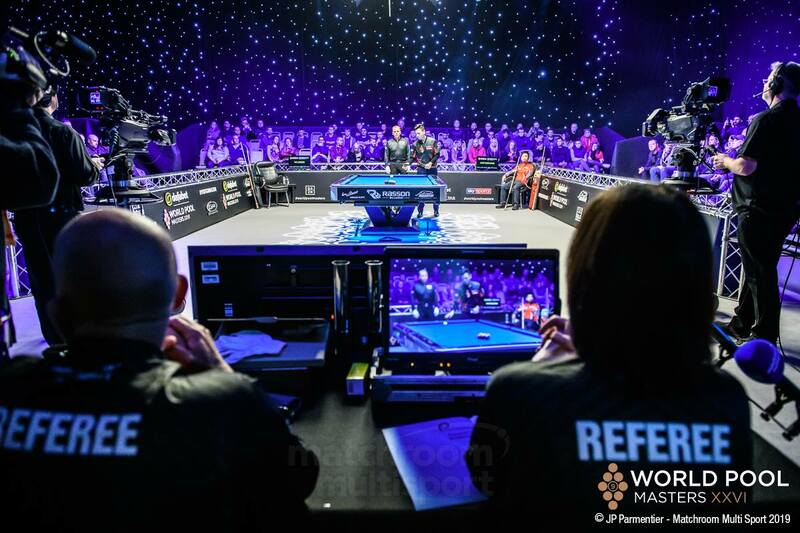 Live rack-by-rack scoring will be available throughout the event at www.matchroompool.com thanks to Matchroom Multi Sport’s partnership with CueScore. Note: Should any players featured in the draw not participate in the event, they will be replaced directly by the first player on the event waiting list to accept a spot in the tournament, irrespective of where the new player would have featured in any seeding category. 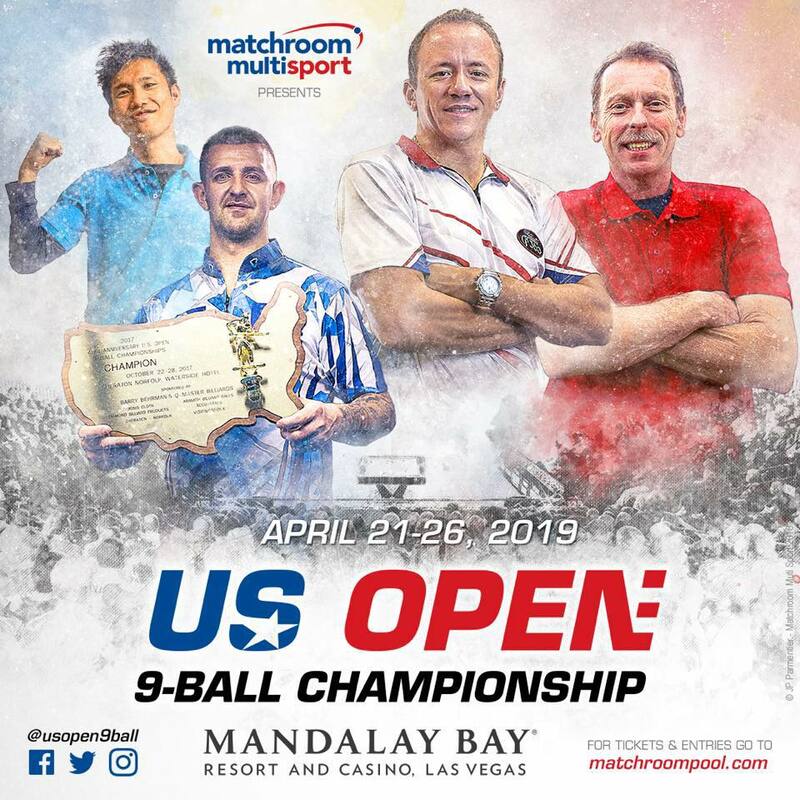 All matches at the US Open 9-Ball Championship takes place April 21-26 at Mandalay Bay Resort, Las Vegas. Matches are race to 11, winner breaks, except the final which is race to 13. The draw and match schedule for the first stage of the tournament is available now at www.matchroompool.com. Tickets for the 43rd US Open 9-Ball Championship are still available at www.matchroompool.com from as little as $10 with VIP packages also available for the final three days of the tournament. The tournament will be split into two stages with the full field playing double elimination down to the final 16 from Sunday April 21st until Tuesday April 23rd across multiple tables. From Wednesday April 24th until Friday April 26th the final 16 players will play straight knockout in the TV Arena in front of a global television audience. Online gaming has been dominating the casino industry and as a result online sports bookies have been adding to their already well-established sporting events. Looking at NoviBet, you will see the quality services offered by these sites and they include high definition streaming services which allows you to watch your favourite sporting events live and place bets on them. Pool billiards has also recently been making its rounds on the sporting side of betting events and if you weren’t aware that you could wager on some of the biggest championship games, here is what you need to know about European pool billiards and sports betting. Online sports books have a language of their own. Between the punter and the bookie, there is a passionate language that punters need to understand so that they can make the best wager possible. Pool and snooker share a common language; however these terms are somewhat different from other sports betting terms which include football, hockey, baseball and basketball. Odds – this is the payout prediction of what the bookie thinks the match will deliver. These are the chances of winning and losing. 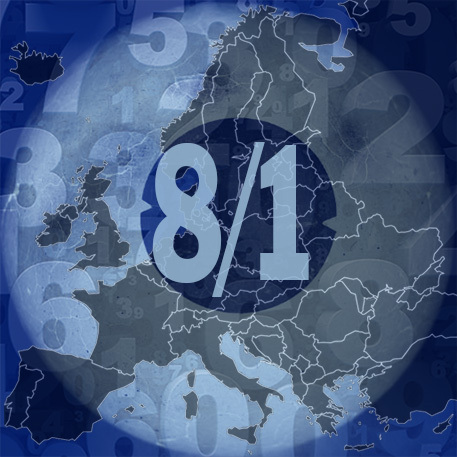 Fractional Odds – These odds are most popular in Ireland and the UK. The fraction holds the value of the amount of the wager at stake and the other is the profit being predicted. The total is then the fractional odds which will be returned. 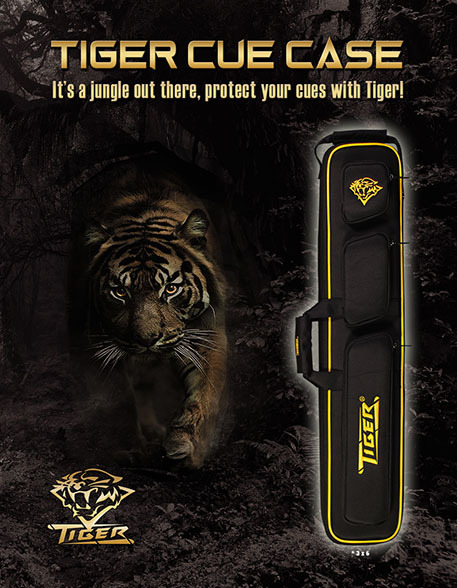 Made from the highest quality of Black Nylon, Tiger’s highly anticipated cue case blends the convenience of a soft case and the protection of a hard case. Along with the standard side and top carry-on styles, the case also features a shoulder strap. For back-pack style carry-on, an extra shoulder strap is also available ( optional ). 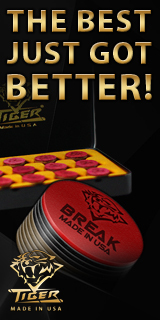 For extended durability and protection, the bottom of each case features quality rubber pad (s). Lightweight, elegant, sporty and slick with our signature golden orange piping, the new case is physically appealing and also extremely practical. The Tiger Cue Case comes in a variety of sizes, each featuring a different amount of accessory pockets. Click the image to view the larger photo - use "back" to return here. A record number of viewers saw David Alcaide’s dramatic Dafabet World Pool Masters win live on Sky Sports, while over half a million fans saw the tournament unfold around the world on Facebook Live. Alcaide won his second Masters title with a 9-ball banked down the table at hill-hill, the final shot of perhaps the most thrilling final in the event’s 26-year history. All six sessions of the tournament saw an increase in viewership and the final kept audiences hooked with more than three times as many UK viewers tuning in compared with 2018. The tournament was also shown live by Matchroom Sport broadcast partners around the world, while a Facebook Live stream was available to fans in nations without a TV broadcaster and reached well over 500,000 users. Emily Frazer, Matchroom Multi Sport Chief Operating Officer, said: “We are delighted to report that our Sky Sports viewing figures showed a huge increase on 2018. The live viewership increased session-by-session, showing that sports fans were staying tuned in throughout the tournament. “Expanding the tournament to a 24-player field meant we could bring more top-class players to Gibraltar, and they delivered one of the highest-quality Masters tournaments we have seen. The final itself will live long in the memory but we also enjoyed four other hill-hill matches including a gripping match where Shane van Boening had to battle back from 6-3 down to defeat the Women’s World No.1, Han Yu. DAVID ALCAIDE is the 2019 Dafabet World Pool Masters Champion as he won an absolute belter of a final as he came from behind to beat Alexander Kazakis 9-8 in front of a packed crowd at the Tercentenary Hall at the Victoria Stadium in Gibraltar. Both players put their hearts and souls into the final and left nothing out there but it was Alcaide, a winner here in 2017, who won the dramatic deciding rack to send his battery of fans into a frenzy. Having clawed his way back from a losing position, at 0-5 and then 5-8, Alcaide broke in the decider. He ran out of position though with the five ball on the rail and attempted to swerve the cue ball and flick it down the cushion. It failed and left a great opportunity for Kazakis. The Greek, under huge pressure, cleared the table down to the 8 and 9 balls but completely fluffed the positional shot after pocketing the 8 and left himself with either a bank into the centre pocket for the win or a safety. He chose safety and left the cue ball and object balls at opposite ends of the table. However, seizing the opportunity, Alcaide banked the 9 ball down table and it rolled straight into the heart of the pocket for a magnificent victory. “This is unbelievable,” said jubilant Alcaide immediately after the match. “I played that final for all the fans and my daughter, Daniella. Every ball I was thinking it was for her and I played to win. Johan Ruijsink will coach Team USA for a third time at this year’s partypoker Mosconi Cup and will have Shane van Boening and Skyler Woodward on his team at Mandalay Bay Resort, Las Vegas this November 25-28. Ruijsink guided USA to their 12th partypoker Mosconi Cup title and first in nine years when they shocked Team Europe with an 11-9 success at Alexandra Palace, London last December. 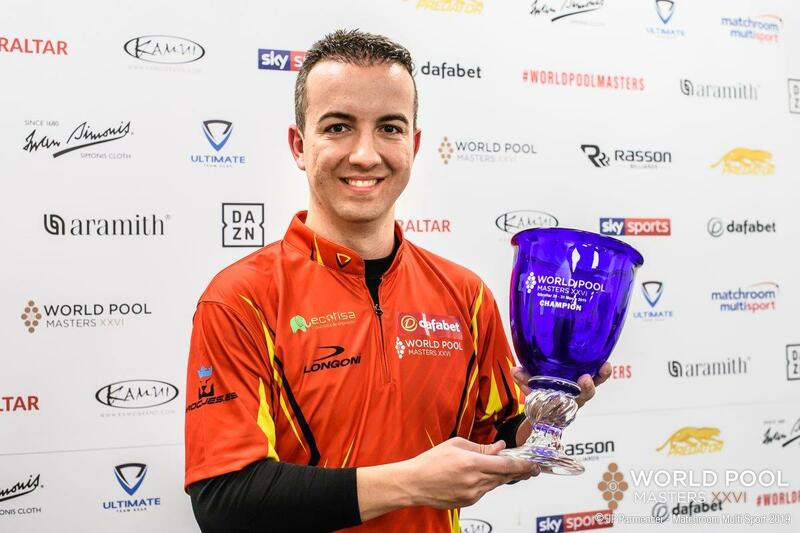 Woodward collected the MVP award, while it was Van Boening who made the winning 9-ball for a famous victory. Both players will return to the team in 2019 and will be joined by three further players to be selected by Ruijsink. As in 2018, Coach Ruijsink will run a series of training camps for players under consideration for selection, before choosing his final squad in the autumn. 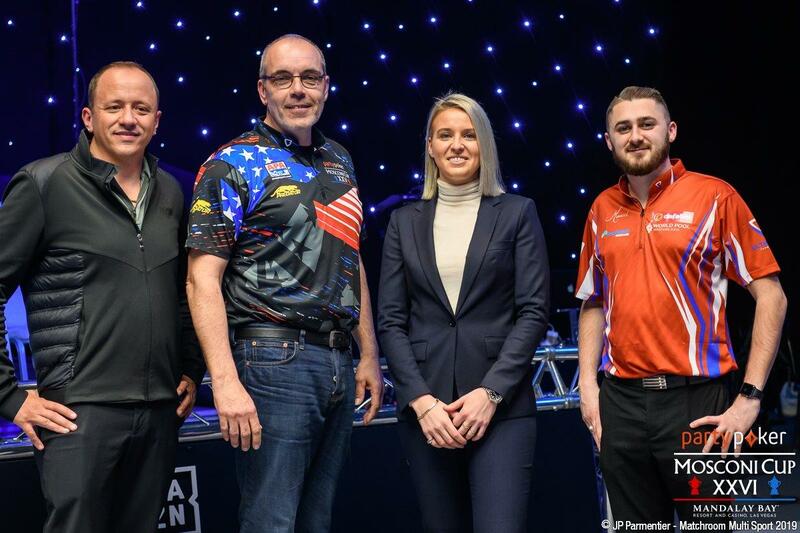 “I am really happy that Matchroom decided to hire me again for this year’s Mosconi Cup,” said Ruijsink, who will have Jeremy Jones as his Vice Coach for a second time at this year’s Cup. Only members see our pool related special offers! Check spam folder for our automated reply. There are currently, 61 guest(s) and 1 member(s) that are online. Who will win the PartyPoker.com Mosconi Cup? 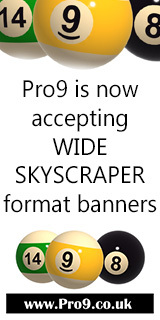 Check out Pro9's Calendar here! Page took 0.077348 seconds to load.